The Santa Barbara Summer Solstice Celebration has been a tradition in Santa Barbara since 1974, and is something that the MK Properties team looks forward to all year. One of our favorite events from the celebration is the parade, with live music, dancers, giant puppets, and floats, some of us have even participated in the parade ourselves. After the parade you can still continue to celebrate at Alameda Park where there is more live music, dancing, arts and crafts vendors, food, drinks, and more! 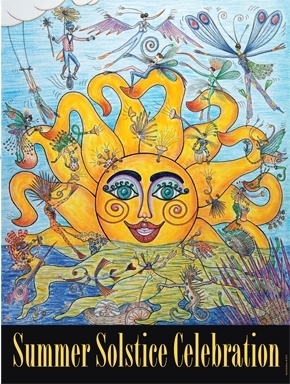 Summer Solstice has grown to become the largest single-day event in Santa Barbara County and is the perfect way to kick off a start to summer. The Summer Solstice Celebration’s mission is to bring the community together through the arts, and this years theme is “Heroes” in light of everyone who has helped our community through these past months.